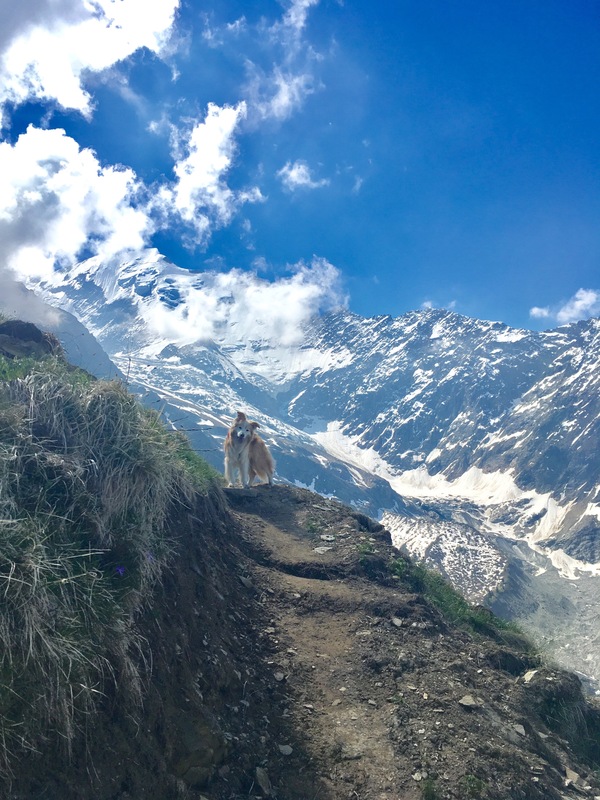 ﻿One of our many things to do during our trip was to walk some of the TDMB path (Tour du Mont Blanc), which winds it way around the white peak through France, Italy and Switzerland. 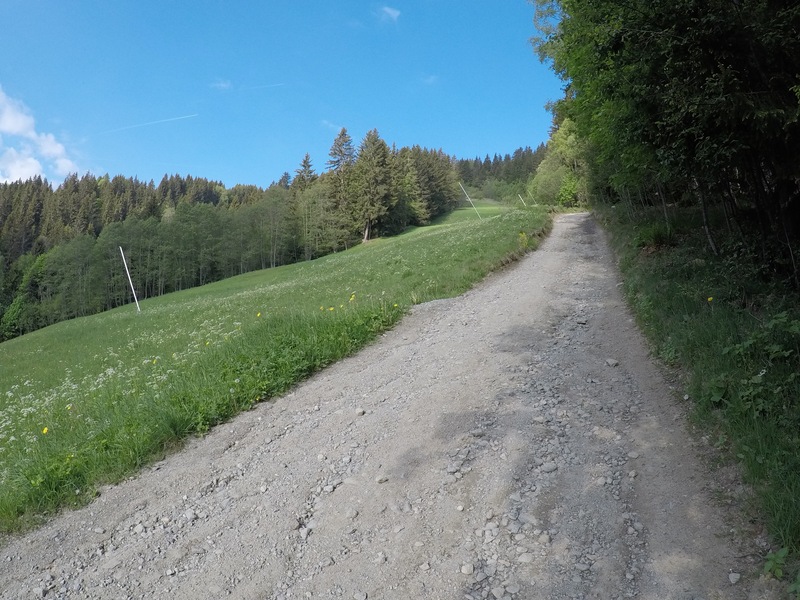 During our stay in Plaine Joux, we’d been fortunate to sample some of the path during our walks in the area. 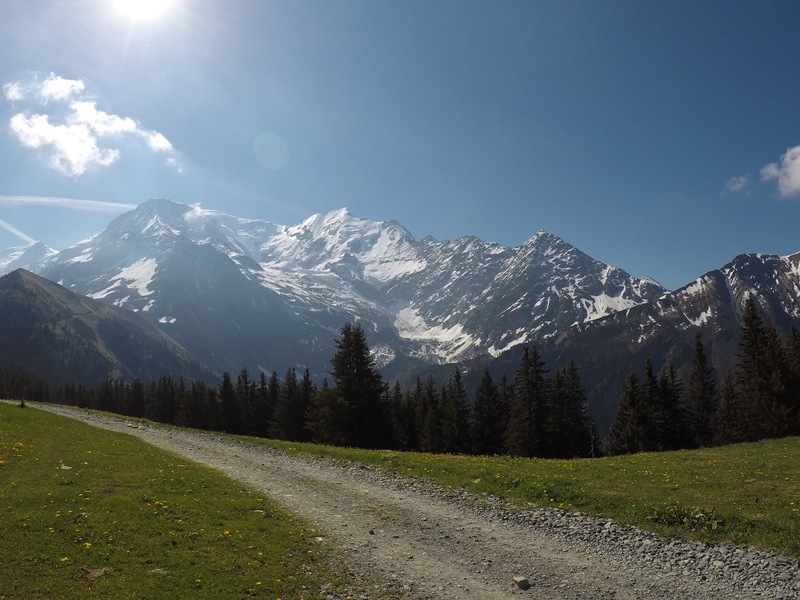 We had a map of the entire route, including walks spurring off high into the many alpine peaks surrounding Mont Blanc. 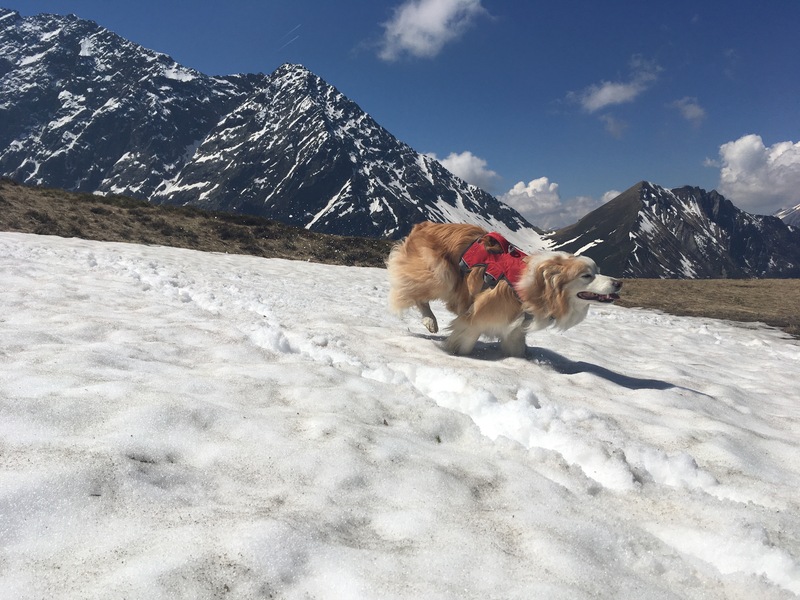 Feeling confident, I announced to Han with much glee that I’d found a suitable walk on Mont Blanc. It’s a walk up to the mountain to one of the stations I said, shouldn’t be too difficult. The route selected finished at the original end point of the Mont Blanc Tramway, Nid d’Aigle. 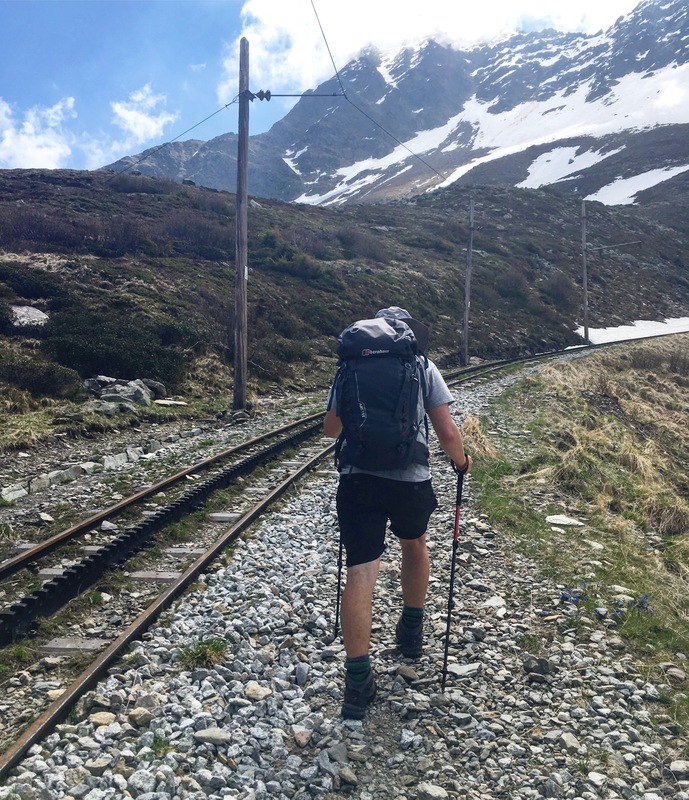 Opening in the early 20th century, the route was designed to take curious holiday makers and mountaineers safely up the mountain, with multiple stops along the way. 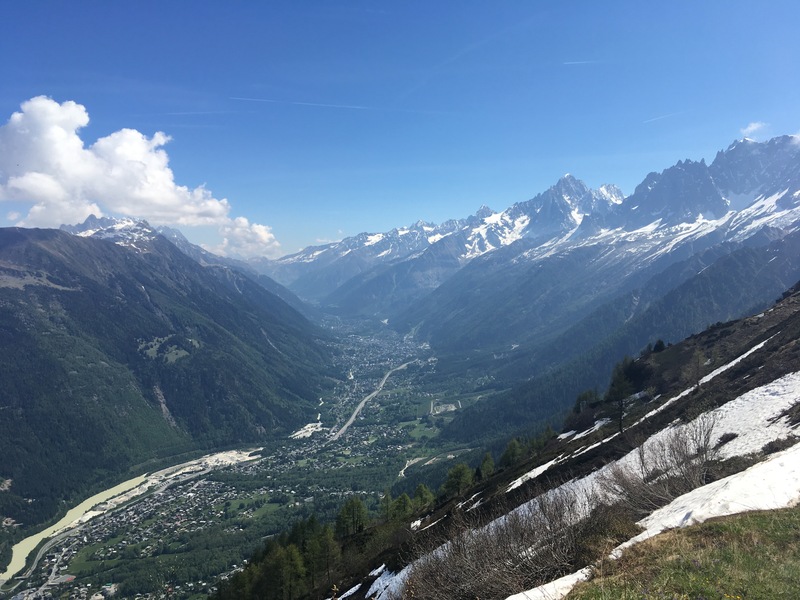 Notable stops are Bellevue and Nid d’Aigle, both offering superb views of the Bionnassay glacier. Nid d’Aigle contains a refuge, used by mountaineers attempting to summit Mont Blanc. Beyond this station, the path is strictly crampons, ropes and ice axes only. I’m sure that we will return one day to climb it in full, unfortunately the refuges don’t allow for dogs. We were however not disappointed with our walk. 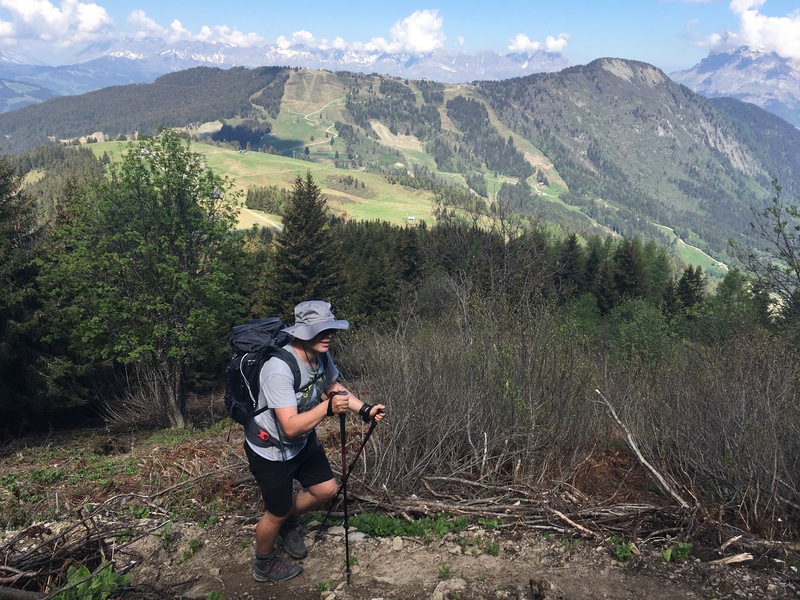 We had already climbed Mont Columbier a week earlier, which was a pretty tough climb for us all, but we did it and it left us feeling confident for the first part of Mont Blanc. That said, the climb up Mont Blanc was going to be higher. 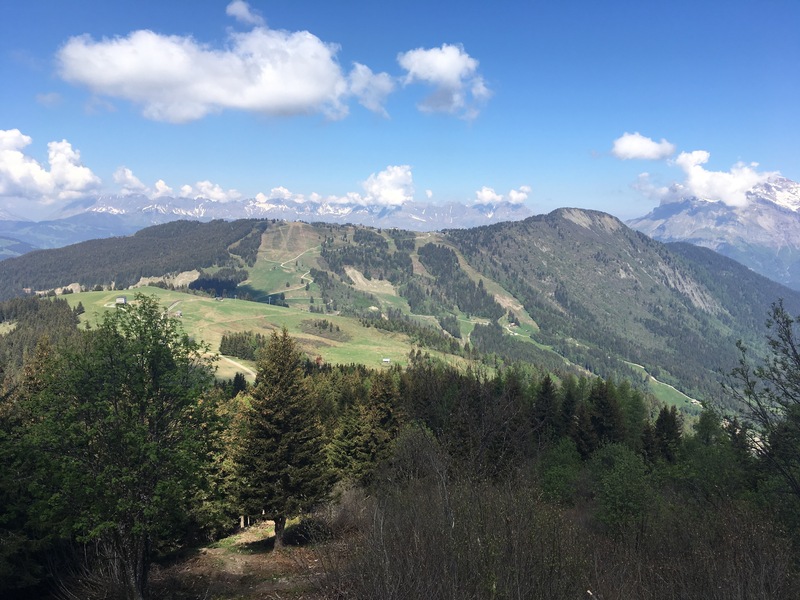 Our starting point was a ski station above the town of Les Houches, specifically the Maison Neuve Chairlift. Plenty of parking for the van, we even saw another van that had been wild camping at the station overnight. As every day for the last week had seen seen temperatures +30, we’d agreed to set off early, as much for Chiefs benefit as our own. 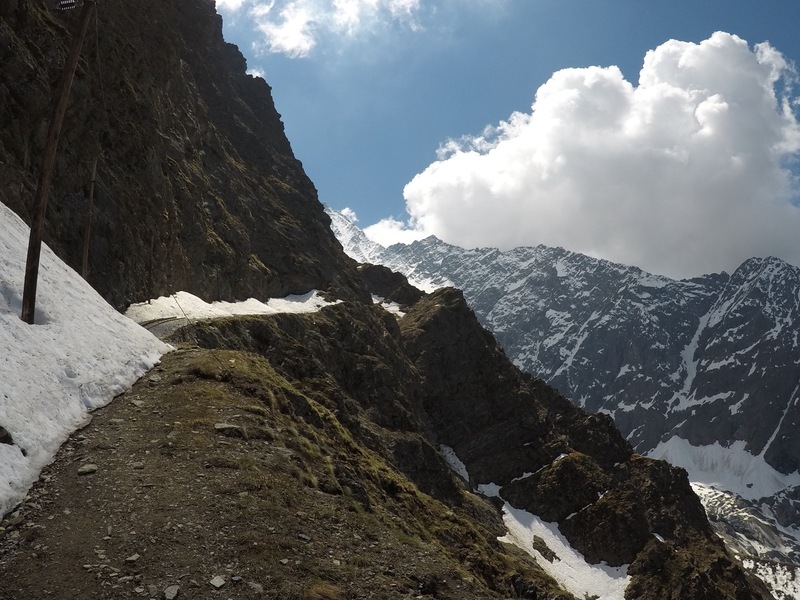 The path that leads up from the ski slope heads first towards Col de Voza (1650m), onto Belleview (1800m). We packed one bag for the day, waterproofs, thermals, food and plenty of water. Despite our usual preparations, it was another boiling day, no need for the thermals and waterproofs! The rising sun started to rain down upon us and would continue to shine for the entirety of the day, good job we’d packed all that water! Chief as ever makes things look easy. Han and Chief were accelerating up the steep paths whereas in truth, I was regretting packing so many “essentials” in the bag. I think Han would come to realise along the route the phrases “would you like a drink” and “are you hungry” we’re a ruse to lighten the load. 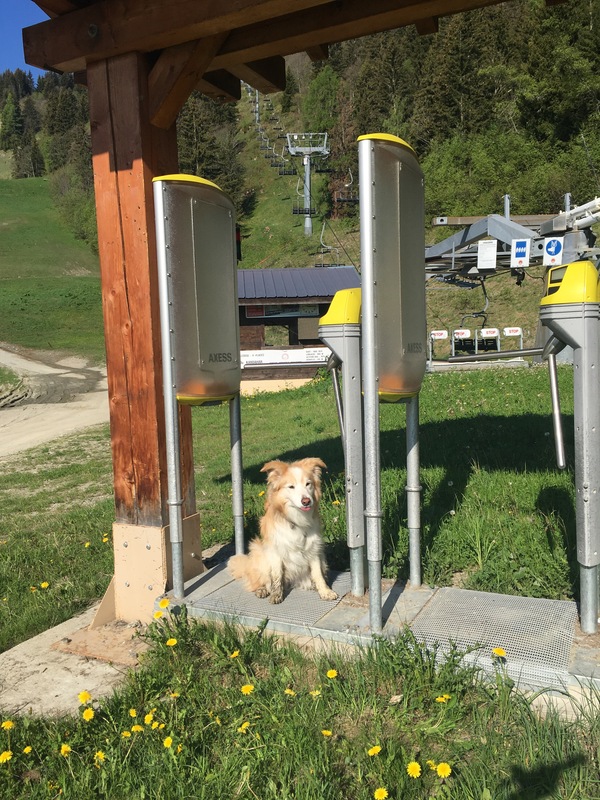 Chief was so full of beans he even had time to try out the ski lifts to see if they were working. 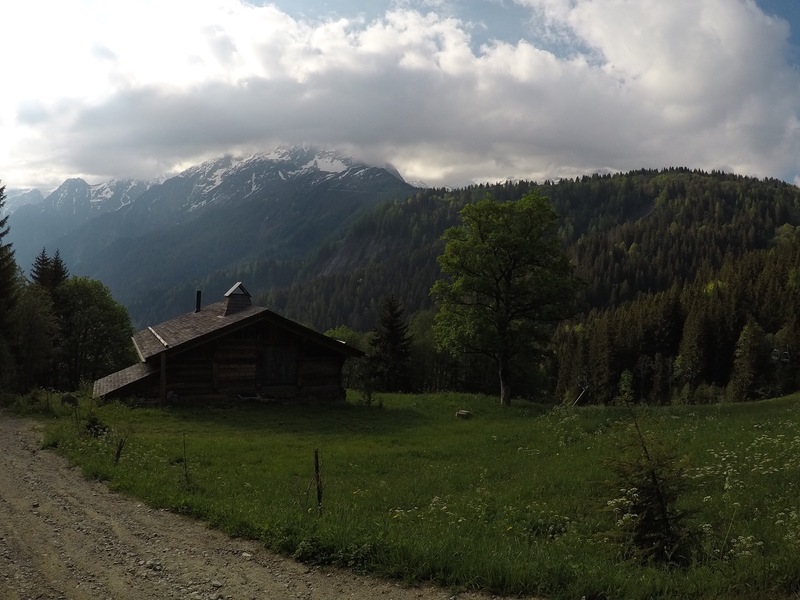 Having reached Col de Voza, we had our first break in the morning sunshine. Despite having breakfast at 5am, Chief included, it’s fair to say we were all a bit peckish after the first part of the climb. There’s a little museum there with display boards depicting the building of the railway and some early pictures of tourists. We continued on up towards Belleview, where we began to get our first glimpses of the glacier. 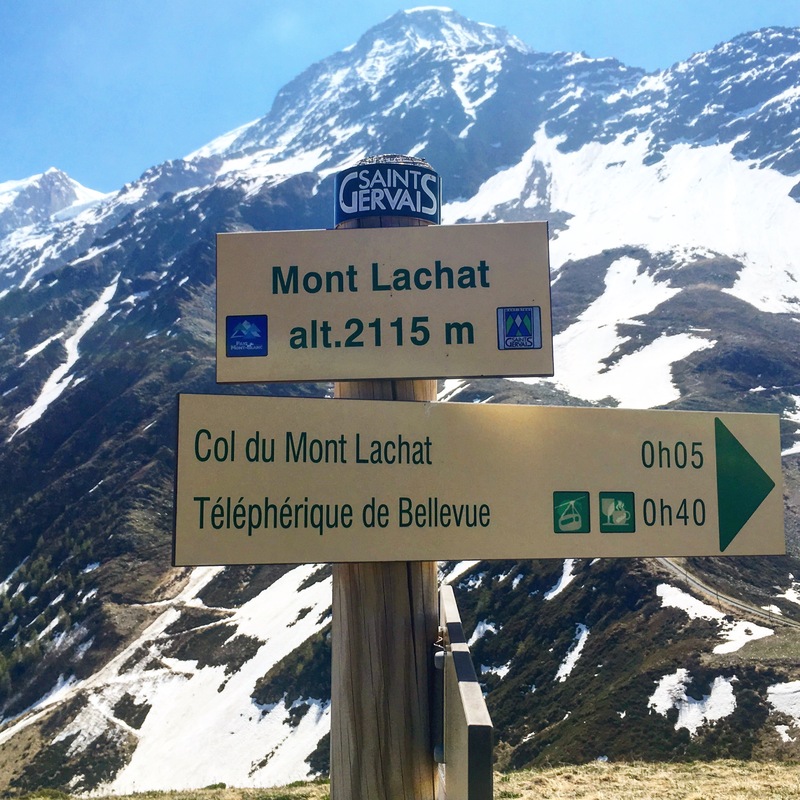 We were also presented with our first choice, continue up the standard route, or opt for a detour taking a steep climb up to Mont Lechat (2115m) before rejoining the route at Col du Mont Lechat. We opted for the steep route. I could feel the pack getting lighter at this point, although this may have more to do with the profuse sweating going on. Donning my hat for some reprieve from the sun we continued on. Just before arriving at Mont Lechat, to Chiefs amazement we discovered snow and lots of it. An already jolly Chief (he loves adventures) went wild in the snow, jumping, skidding and sliding all over the place. We thought here would be a good place for silliness and games, Chief didn’t disappoint. We could have played all day, but we had a mountain to climb and the temperature was rising. The last part of the walk takes you up alongside the train track. It’s fair to say it wasn’t running during our trek and due to the volume of snow, it didn’t appear that one had been this far up all season (the tunnel was still blocked). 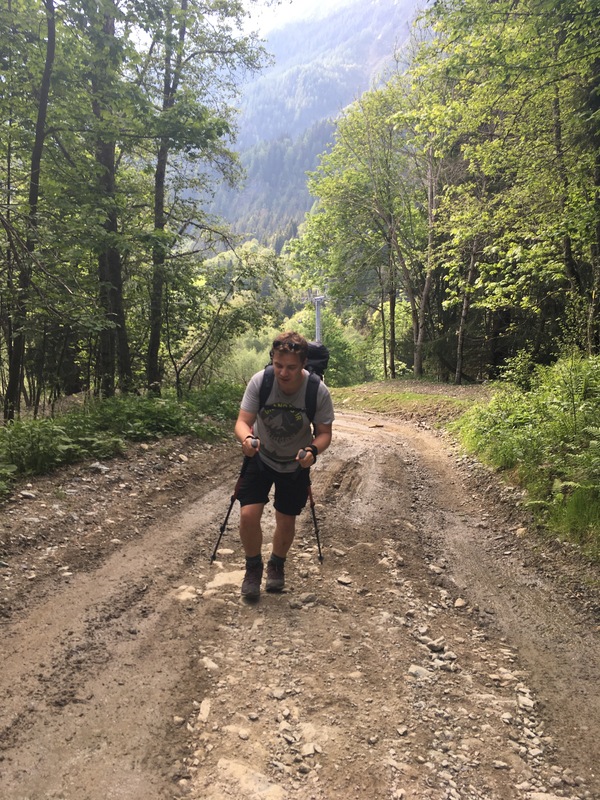 The terrain was rocky underfoot, Chief struggled as much as we did. We had a solution though… Chief is like the Mr Gadget of dogs, if there’s something out there he probably has it. Out come his walking boots (if you don’t have a dog you may begin to wonder about the logic of this). 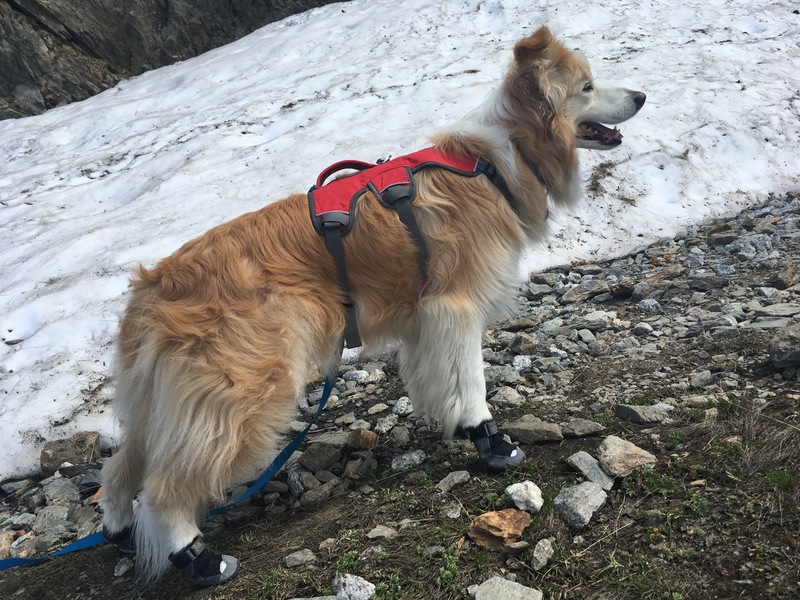 The boots however protect his feet from the sharp rocks and help to prevent him from discomfort or cutting his pads unnecessarily. 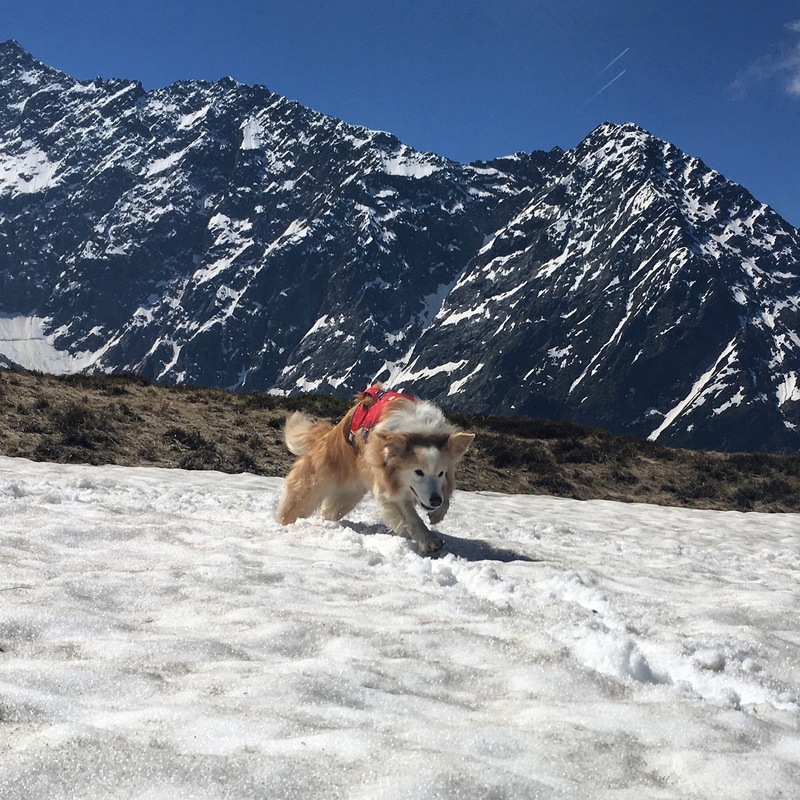 The path was precarious, with many parts covered in snow and the path teetering on the edge of some enormous vertical drops. Approaching the station, we observed the tunnel was completely snowed in. A path was available to the side, but having done a quick reccy, the last few meters to the station would have required us to clip to the rock face and was pretty much impassable. Having achieved a great amount in one day, we decided 50m from the finish we were unable to safely travel any further. The view from this point was spectacular, providing a top down view onto the glacier and into the valleys below. Our way back down in the early afternoon was quick. 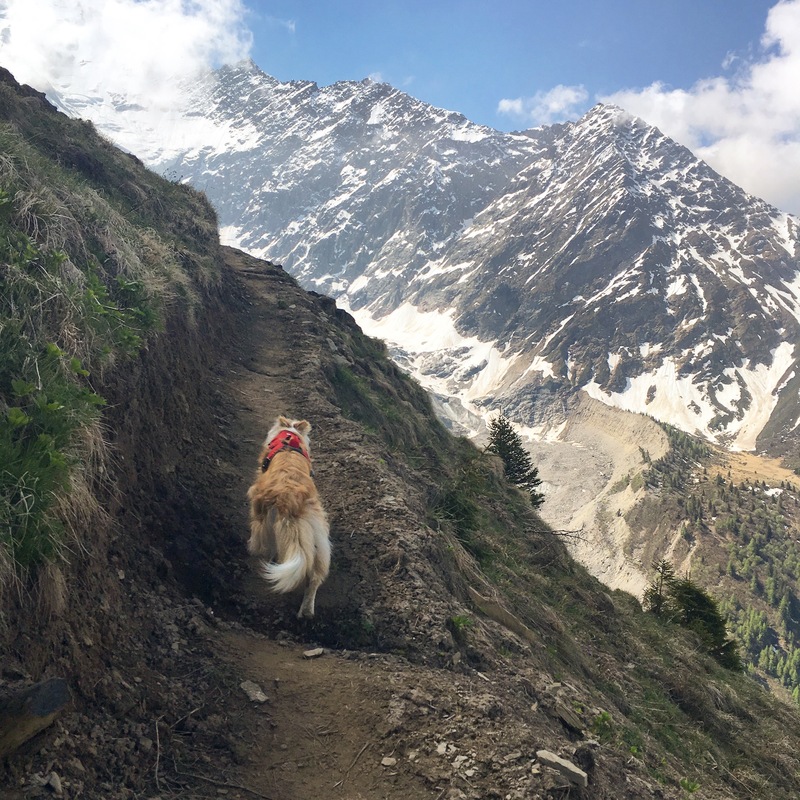 We kept hearing screeches, that we’d attributed to the birds, both during our final climb and as we came back down the mountain path. Passing Col du Mont Lechat, Han ushered me over to look at something. Perplexed at what she had seen, we observed these cat like creatures on their hind legs looking directly at us. Somehow though, they were also perfectly camouflaged. One quick glance away and you’d struggle to spot them again. The noises we’d in fact heard we’re those of the Marmot, a type of large squirrel. We saw 4 whilst we sat and watched them peacefully, apparently they are quite rare to see. We were astounded at the amount of people climbing up in the midday sun as it was now incredibly hot, but fair play to them for trying! A great route and great day out, maybe next time we can continue on to the summit! Great account of your day out. I’ve ski-ed at Les Houches, and seen the train,but not been on it. Well done again you three. Let the adventure continue! Great fun by the looks of things, will hopefully be swinging by Chamonix in a couple of weeks, can’t wait! Love Mont Blanc, such a wonderful range! I would recommend that you to have a go one day for the summit, as the Gouter Route is pretty simple, just long, tiring and high!! Would you recommend going up with a guide, or just making your own way and following somebody up? 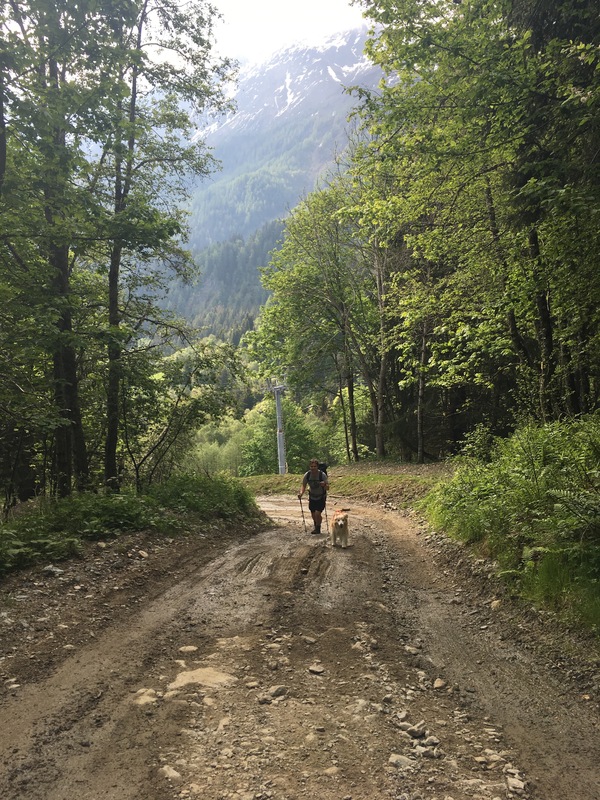 We have loved the mountains on our trip, too many walks to write about though. Our favourite so far have been ones we’ve just happened upon, little walks through the woods or climbs up to minor peaks. The abundance of walks reminds us of walking in Scotland where you are also spoilt for choice on walks.